In collaboration with Fernanda Lourenço from Brazil, ‘Pearls Of Love’ is a project that explores what it means to be a woman. 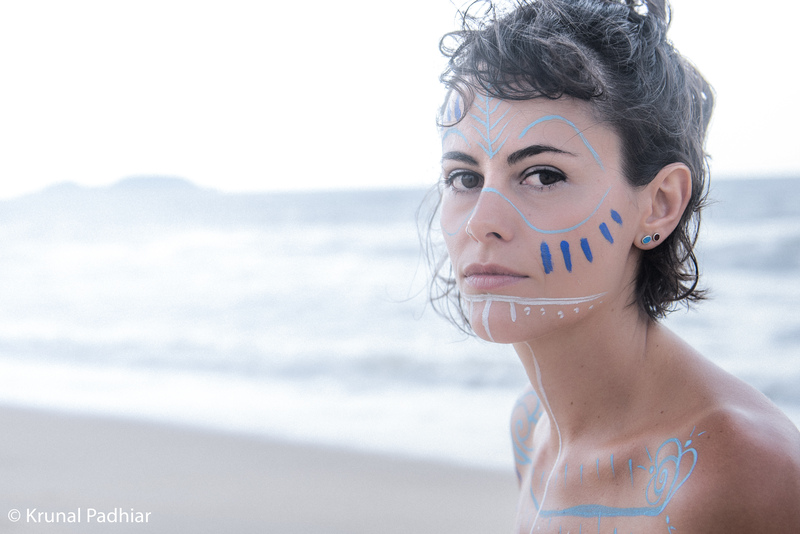 Through body painting, Fernanda symbolically expresses that being a woman is a gift filled with beauty, intensity, mystery, strength and creation; a reflection of the pearls that are formed in an ocean teemed with life. What is it to be a woman for you? For me, to be a woman is to be cyclical, to be fertile in every way. What moment do you remember in your life that made you even stronger? There were many, I think life always manages to remind me how strong I am. But no doubt giving birth to my son and consequently opening me to motherhood in my life was a milestone. What relationship do you have with your body? Each time a more intimate relationship with my body. Lately understanding my menstrual cycle and my sexuality in a deeper way. I am alert to any symptoms. And I have moments of thinking that I could eat better and do some more physical activity to make my body healthier and prevent something. My body is my support in this life. It is through him that I live most of my experiences and am very grateful for everything. How do you see the relationship between woman and man? I see it as a great force. A union that can make many changes. But this is something I believe, not what I have experienced. It’s a big challenge.